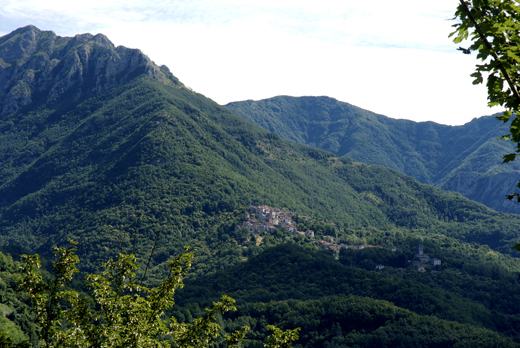 Vico Pancellorum is situated 555 meters above sea level and is 15.5 kilometers from Bagni di Lucca,it’s the last village of the right side of the River Lima.At beginning of the village there is a square Pieve San Paolo, beautifully made with a fantastic view of the surroundings. In the high point of the village theres a aold house of the vicarage of the Val di Lima and inside there are also prisons, on the door there’s a head sculptured surrounded with laurel its said to represent Castruccio Castracani degli Antelminelli.The “Balzo Nero” dominates the village,on the summit of the mountain there was an antique fortress and the church of San Marco, but today there remains nothing of this.A popular legend say’s that the name comes from panis celorum,(pane dei cieli - bread from the heaven) with reference to the eucharist.But probably it comes from panicellum,(panicum)or panic, a type of fodder.But in some documents Vicus Pannucculorum and Vicus Panitiolorun can be found, another legendsays that the village was founded by two brother Pancelli, exiled from Rome.The population of Vico in the 15th/16th centuries made commerical exchanges and frequented Rome for work.This also changed there way of life and there accent.The dialect that was used by travelling street vendors can be heard today used by some of the elderly popoulation. 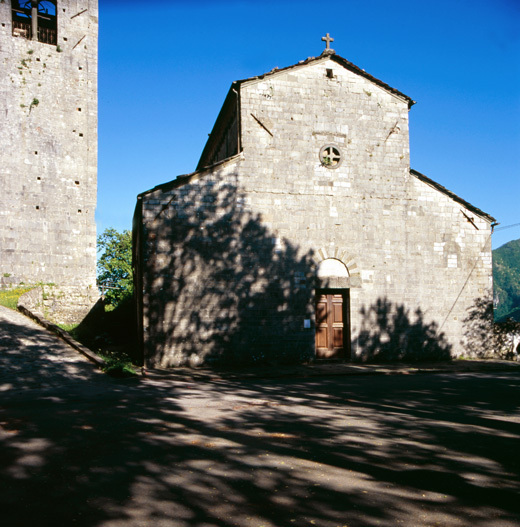 The most antique parchments that mention Vico are of the years 873, 943 and 1000.In the year 873 the church of San Paolo and Pieve had under it the churches of Limano,Casoli and Sant’Andrea al Lago.Vico was a property of the Lupari family,then went to the Florentini and finally was reconquested by the Castruccio Castracani. After a dark period the village gained strength and the community administered itself with its own parliament and statutes, the most antique ones were lost but three are stillin the archives of the state and are of the years 1636,1712 and 1724.The Pieve of San Paolo was built in the 9th - 12th century and it’s the oldest of the Val di Lima.Inside is divided into three aisles with stone pillars and capitals,it still has it’s original design with three apses. A valuable stoup of the year 1551,the organ has inscribed the date 1713 above the keyboard, but has no name.The bell tower is dated between the 12th - 13th century. Domenico Stefanelli (+ 1846) dominican, archbishop of Lucca and Traianopoli.